Medical packaging can be a complicated subject. At Sunrise Packaging, we've done our fair share of creating unique boxes and packaging solutions for medical projects. We're always looking to expand our horizons, and we recently wrapped up a project on a new avenue for medical packaging for us: education. Medical Coding Academy helps students prep for their Medical Coding National Board Exam. They came to us with a need to create a new prep kit for their students. We jumped at the chance to create these bright, engaging pieces of medical packaging. Typically, when we hear about medical packaging, one of the first concerns is what regulatory information needs to be included. It's a refreshing project that allows for more creative freedom. And we definitely looked to leverage our creative freedom here. We began with a custom magnet box and added a foam insert and clear, plastic pocket for the materials and products that it would hold. The outside has a matte lamination and offset printing to ensure the vivid colors will resist fading. As we mentioned before, we love the colors and vibrancy of this design. This kind of medical packaging puts a new spin on things. The educational aspect sends a slightly different message, particularly with the use of colors, avatars and bright content: this content will NOT be boring! And aren't those the words all of us want to hear when it comes to learning something new? Engaging, bright and vivid are words educators strive to hear applied to their work. Wouldn't it be great to apply them to medical packaging more often, too? When your industry is facing a packaging challenge, check in with the team at Sunrise to help resolve it. Chances are, we might have a few ideas. Talk to our team today! There's a story in every package. And double flap boxes give you a little extra room to tell that story. As straightforward as designing boxes might sound, there are a lot of factors to consider. With our years of experience, Sunrise has seen a lot of things, and we know some of the common pitfalls. One thing we can definitely attest to: having your content ducks in a row can not only save a lot of time, but help you decide which packaging style will work best. Which brings us back around to double flap boxes. The content requirements for a customized packaging project will vary on many elements. The industry matters; for example, healthcare packaging typically includes some required marks. The purpose of the box needs to be taken into account. Will it serve primarily as protection for the contents, or is it more of a sales kit? Are there temporary marks or interchangeable bits of text, like expiration dates or product numbers? Not to mention anything particularities when it comes to your brand, likes, dislikes, and examples of other packaging that you might like to consider incorporating. You can see why proper planning is the way to go when initiating any project. Some of these are probably already very apparent. What might not be--and we know that written copy and imagery can take time--might require a little finessing. And that's where double flap boxes can help save the day. By giving you a little extra wiggle room, these types of boxes are great for showcasing stylized text or images. Not to mention that this box style is a favorite for users for both its functionality and as a keepsake. To be clear, we have no data to back that up - but we do know that the impressions user receive from a double flap box are usually more high-end than that of a single flap. There's also an element of fun in opening the first flap and being confronted with the second flap. It's a great spot to insert a little fun for your users and heighten the anticipation of the unboxing experience. The double flap box is just one of many packaging types that can fit your project. Contact our sales team to work out which package might be the most ideal for your project! Running a giveaway within your organization is a great way to increase engagement. No matter what your goal is, generating excitement and energy for your brand should be good for the company overall. Just don't leave the giveaway packaging to the last moment. We often talk about the importance of packaging on this site--unsurprisingly--but the truth is, packaging matters. Especially when you want to make a good impression. At Sunrise, we know a lot about promotional packaging. And whether the ultimate goal is to gain new leads, reward current clients, increase employee productivity... Well, the gift packaging is key to truly making the promo feel like a reward. Sometimes, it's easiest to put yourself in the shoes of someone else. Let's say you win tickets to an exclusive event. Or an incentive trip. And when you go to collect your prize, how would you like to see it presented? There's the throwaway packaging. An envelope, or plain brown box, something with zero sentiment or doesn't induce a single emotion. And on the other hand, we have a well-crafted box. Like the example to the side, which was created for Hellas Construction. This box was used for a ticket giveaway. We're a big fan of it as a great example of not just promotional packaging, but as a giveaway box as well. Emblazoned with the logo and branded with the colors and aesthetic of the company, there is no question regarding who is the giver of this product. It's designed with the purpose of not only to convey a prize to the winning party, but for the giver to stick in the mind of the recipient as well. Magnetic boxes with soft touch lamination send a message. The kind of message that says, We don't skimp corners in any area of our business. Which one would make you more excited: a plain brown box or this mag box? Creating engagement should be embedded in the crafting of your giveaway campaign. From the messaging to the platform to the giveaway itself, everything should be in place to maximize relevancy to your audience and generate excitement. Your promotions should include the giveaway packaging. And that, in and of itself, should be treated as your most potent marketing tool throughout the strategy execution. When you're ready to leverage your next promo, talk to us about how to make the most out of your giveaway packaging. Our team is ready and rearing to go! Like it or not, the end of the year is less than 2 months away. For car dealerships, that means it's time to a) push out the old inventory to b) make room for the 2019 inventory. No matter which state your car lot may be in, we have an answer to help move vehicles: high-end key fob packaging. While it can help add some upscale value to older models, implementing a marketing strategy around 2019 models (and beyond) is a great way to build both customer and brand loyalty. At Sunrise Packaging, we've done a few different custom packaging styles. Some are more compact, like our FobPad. Others, like the image below, are as substantial as the vehicle that goes with them. Getting a new car should feel like a special occasion for the buyer. It's a decision most people don't take lightly with both a time and monetary investment. Creating a marketing strategy including custom packaging for key fobs is a great way to turn this transaction into feeling like a literal gift. Take a look at the project to the right. This is one of our standard magnetic boxes, or NetBox. If it reminds you of the classic functionality of a cigar box, you're on track. This a box style that is familiar, and the magnetic piece gives it a little nuance. The magnetic flap on the box has a few purposes. First of all, it's designed to keep the box shut tight in a practical way. But, like we said, it's also slightly unexpected for the recipient. The weight and gentle resistance of the magnet provide a moment of anticipation. Key fob packaging is also a way to do some influence marketing, too. With the right content and design, these items make the perfect influencer post. Alongside their new vehicle as well, of course. While the new inventory might be a perfect time to start integrating key fob packaging into your car dealership marketing strategy, the best part of these items is that it's never NOT a good time to start developing them. Creating timeless content and design means that they won't be outdated. Contact Sunrise today to start developing your products today. The evolution of compact discs over the past few decades has had a series of highs and lows. And while it might seem like they're on the way out, our research disagrees. We've got the CD and DVD packaging options you might need moving forward. As Fast Company notes, CDs aren't dying: they're evolving. While mainstream music is dominated by streaming, the technology to create CDs is at its most efficient (and cost-effective), making it a great option for indie artists and small bands. Not to mention the ability to burn discs, like a custom mixtape, has a kind of nostalgic value to it. But from a business perspective, CDs and DVDs are indispensable from multiple perspectives. From training modules to branded templates to file sharing, discs have a long shelf life and, given the appropriate CD and DVD packaging, a long life to live. Many organizations use discs for many different business practices. A common example that spans industries? Onboarding kits. Bringing on new employees is a time-consuming process, and knowledge overload is real. Especially for employees who are learning a new job, a new environment, and everything else that comes with new roles. Having consistently-available resources makes it easy for them to find information on their own. Supplying new employees with a customized binder, one of our most popular options for CD and DVD packaging, is the perfect way to give them that sense of security. Our thermoformed binders are durable, smudge-resistant, and 100% brand-able. Welcoming new employees with a crisp binder of information is a great way to introduce new employees, but it's not the only use for discs. Collecting speeches, seminars, and recordings of any type can aid businesses in information sharing and growth. Not to mention that libraries across the country rely on discs for patrons. Communities rely on their local libraries for packaged content like audio books, movies/documentaries, and other resources available for check out. Check out our shop for more options! It's been decades since Marilyn Monroe sang the virtues of diamonds and their place in a girl's life, but with age comes enlightenment. And turns out, many girls are looking for something with a little more edge to it than just diamonds. Like csarite, a stone 10,000 times more rare than a diamond. As trends change, so do the high end boxes and luxury packaging housing these tokens. In a recent project we worked on with Neha Dani, we gained an insider view into the current market of gemstones, jewelry and what goes in to creating a masterpiece. Naturally, Sunrise Packaging (located in Blaine, Minnesota) rose to the occasion and created one-of-a-kind magnetic boxes to serve as sample kits for gemstones. Neha Dani describes herself as an artist that delights in the details. We knew we would hit it off immediately. Her work is made to worn, admired and exalted. Creating unique packaging to match these products is a tall order--and, if we're being honest, we know that our boxes are little more than stage for the pieces--but using our expertise, we created some beautiful mag boxes. "Mag boxes" is short for magnetic boxes. Our custom magnetic boxes feature a magnetic flap for closure, and instantly create a high-end feel. Magnetic closure is just one feature that elevates a standard box to luxury packaging, though. We add in offset printing and soft touch lamination. Offset printing ensures a consistently-high quality color transfer. It's vivid and bright, perfect attributes for gemstones. And soft touch lamination? It's like touching silk. Luxury packaging doesn't stop with the elements we brought to this project. The outside of a box speaks volumes, but when it comes to high end items, the customer really cares about what's inside. 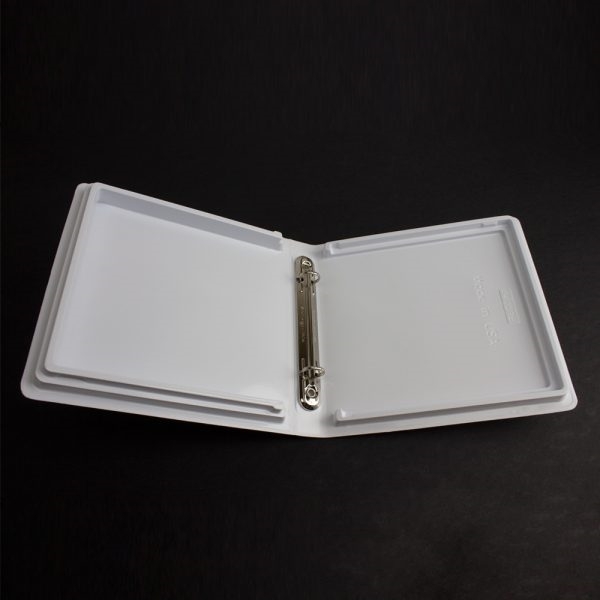 We can create custom inserts and thermoformed trays to keep products safe. This also avoids potential shifting or falling out of place. Additionally, there are different types of closures, finishes, embossing, and more that can enhance a simple box. We view every project as unique. Sunrise takes the time to create something original for every customer, whether you're looking for high end packaging, sports packaging, etc. Contact our team today! For All Your Sports Packaging Needs…! The wide world of sports is expanding, and so is the sports packaging market. While classic leagues like baseball and basketball still thrive, sports like lacrosse and soccer are increasing in popularity on a professional level. As popularity grows, so do fan expectations. So whether your sports club needs to come up with a new season ticket package, media guide, or fan giveaway, turn to Sunrise Packaging for your custom box needs. What do we mean by custom boxes? We mean a unique solution for your brand. Every team has unique qualities, or works to establish traditions that resonate with fans. Here in Minnesota, there isn't a Viking out there who doesn't love a good 'SKOL!' cheer or get a little chill when the horn blows for first downs. These elements might not translate to packaging. On the surface, at least. Marketing sports team traditions is a fine balance. One must do enough to engage the target audience without going into overkill. Sometimes a moment captures the public imagination. Like the Vikings impromptu 'duck duck gray duck' game that spawned shirts, memes, and a place in MN Vikings lore. It's tapping into these moments when designing packaging that helps create something truly unique. Let's take a look at a recent project for the ACU Wildcats. We worked with them to create a digital media guide for the needs of a modern audience. College football fans are among the most diehard in the country. There's an extra connection that comes along with attending a university and being a part of something larger. The pomp and circumstance that goes into a college football game - marching bands, cheers, and more - add to that excitement. We wanted to capture that in this packaging for ACU. The bright purple wrap on this FlashPad is guaranteed to send any alum into their college memories. Prominently featured players on the front showcase the iconic uniforms, and the text inside tells the users exactly what this is: This. Is. Home. What Message Can You Give Your Fans? Design your sports packaging by focusing on the ones who make your team unique: your fans. We can help. Contact Sunrise today for a quote! Promotional packaging 101: don't forget the content. It might seem like an obvious place to start. And yet, it still happens. Projects kick off based on the product itself, then move to packaging, and then to marketing where the content gets knocked out. We understand that every project is a little different. Timelines vary from department to department. But here's the thing: every project should be content-driven - and it probably informs more steps than you know. Particularly when it comes to promotional packaging. The most unique packaging ideas start with a concept that the Sunrise Packaging team helps drive into reality. We can help bring concepts into a tangible state, but there are some things that need to inform the design before we can start. Do you know your audience? From gender to age to personality characteristics and beyond, successful packaging begins and ends with knowing your audience. Promotional packaging designed for a new cosmetic line will look very different than promotional packaging created for bow hunting enthusiasts. Consider how your packaging can appeal to your intended customer base. There are some cases where the plain, brown paper bag approach might carry the connotations you want for your product. ...But most of the time, you need to include some content on your promo package that *sells. * Tell your customers what this product will do for them. What it does better than your competition. What makes it unique. This is the value proposition you're making to every potential customer. Your custom packaging solution should sell your product like a salesperson. How Does This Package Fit With Your Brand? Building a brand? Consider what this package is telling your customers. Everyone is familiar with the iconic design of Campbell's soup cans. From a glance, you can see that all of these products belong to the same branded family. Does your packaging match your product family? And if it doesn't, is it intentional? Promotional packaging should be intriguing, customized, exciting, and innovative. Like the packaging product pictured above that we just completed with Select Design, creating unique content for a promo box is worth the time investment. We love this fun style of packaging. And we can't wait to hear from you on how we can work together to create something great.